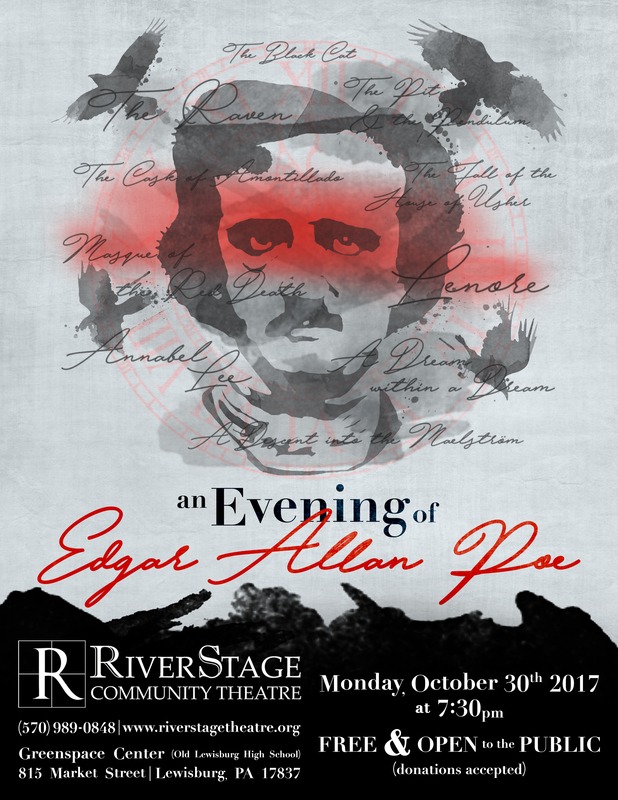 Monday, October 30, 7:30 p.m.
Join us for a very special “Halloween Eve” staged performance of some of Poe’s greatest works! 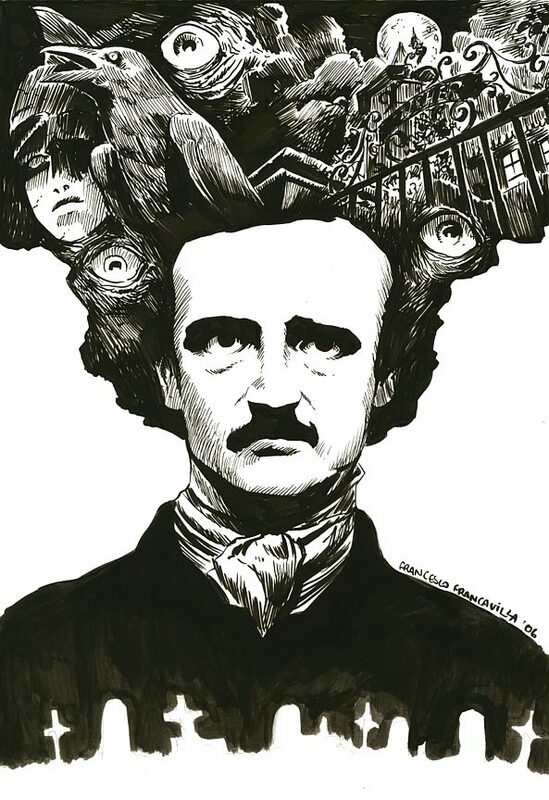 This “reader’s theatre” performance will feature dramatic staged readings of 8 short stories and poems from the master of horror and suspense! 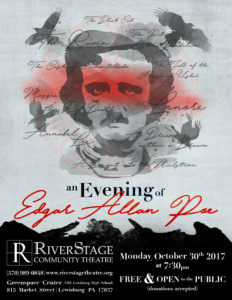 This performance will be “Pay What You Can,” meaning that no advance tickets are necessary, and all donations are accepted at the door in lieu of purchasing tickets.